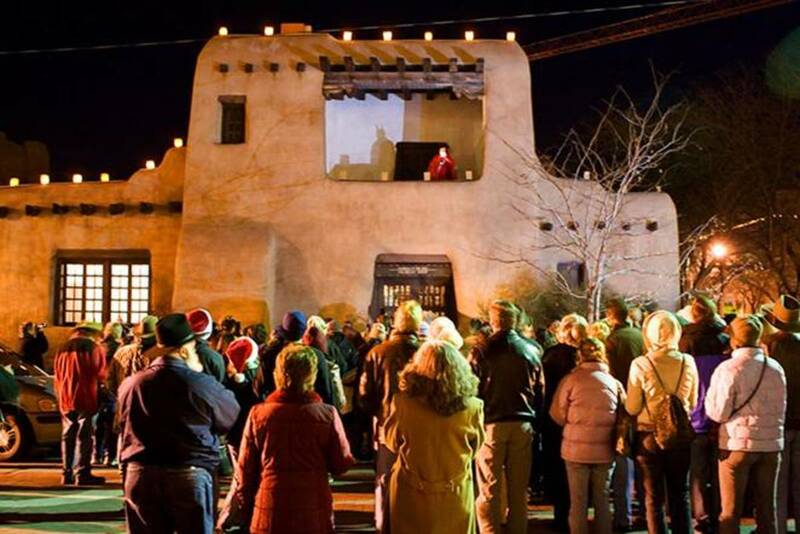 Twas the night before Christmas and all through the house, not a creature was stirring, not even a mouse. We all know this famous line from the Christmas story. This story is a bit different as it tells the story of that little mouse. As the holiday’s approached, the mouse watched as the house changed. The mantle, usually filled with dust covered knick knacks gathered from the ages, was cleared and adorned with a fresh pine bough. Children’s stockings hung empty from the hooks grandfather placed so carefully in the edge of the wood many years ago. Tiny colored lights twinkled through the night casting beautiful glowing shadows that danced and frolicked across the great room as the family slept. A tall majestic pine tree sat perched in its stand in the front of the garden window. 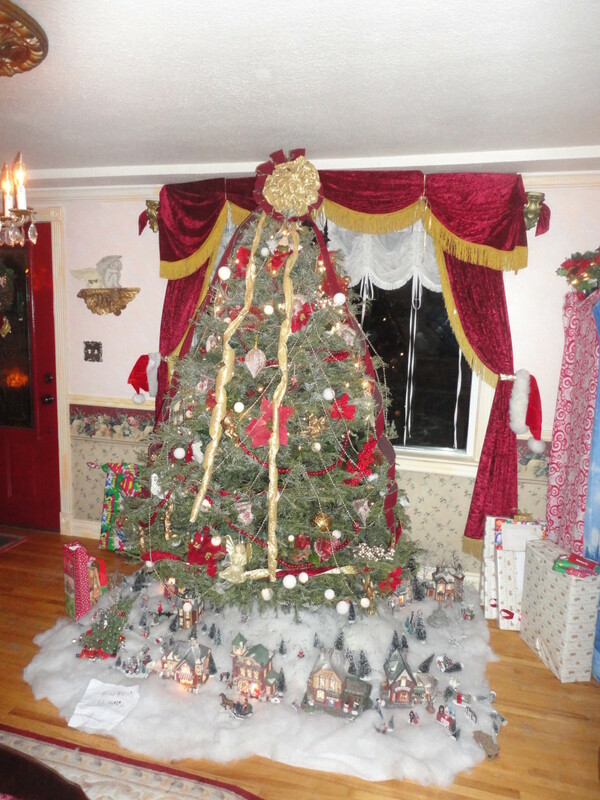 The mouse watched the children each night as they placed tiny trinkets and glass bulbs on the different branches. Mother wrapped long ribbons around the whole thing and gently hung the few delicate ornaments she had since her own childhood on the uppermost branches. Each one held a special place in her heart and reminded her of past Christmas days. At last the masterpiece was completed and father carried the angel that would top the tree out from the storage room and everyone gathered around in anticipation as he climbed the small ladder to place it gently atop the pine. When he stepped down and was clear, the oldest of the children gleefully plugged in the lights and the room was filled with warmth that only Christmas lights held. Each tiny white bulb seemed to shout out at the children reminding them that soon Saint Nicholas would be making his annual visit and now was a time for family, remembrance, and joy. The mouse watched and learned about Christmas and all the festivities surrounding it. The one thing he really liked was the food. Every night the family had sweets and treats and the great room was always filled with songs and laughter. The children, as children do, often dropped things which were overlooked when mother cleaned up before heading up to bed. When everything was quiet, the mouse stirred. He skittered across the hardwood floor gathering up the tiny pieces of forgotten cookies and candies. He did love this time of year for no one seemed to think about anything but being festive and enjoying the company of others. Guests would stop over each night as the day drew nearer and the number of children in the house grew. The crumbs and delicate morsels he so loved were everywhere and the mouse spent his nights gathering them to keep for the coming winter months. Soon the day arrived, Christmas Eve, and the excitement was difficult to contain. The children scurried around that night, dressed in their warmest nightshirts and gowns. Each one made tiny adjustments to their favorite ornaments and then carefully composed a note to the dear old man whom they hoped would bring them the gifts they so desired. 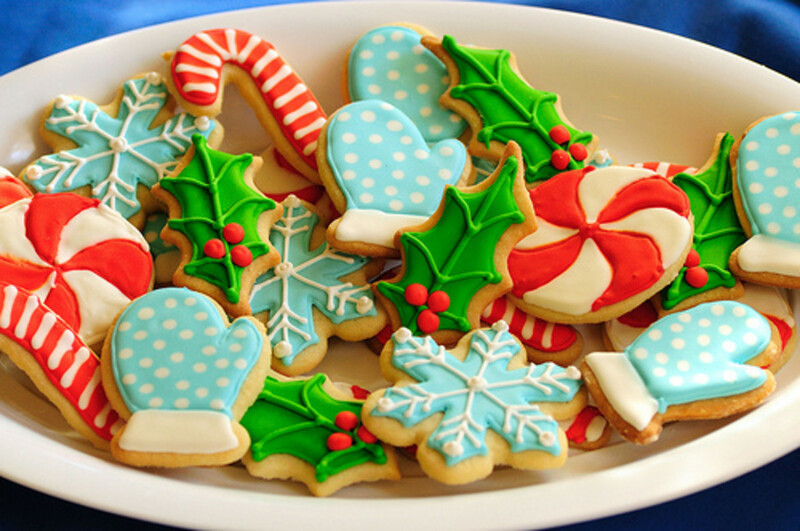 A plate was heaped high and the smell of the freshly baked sugar cookies drifted throughout the entire house. A tall glass of milk and a bowl of water for the reindeer completed the offering. At precisely nine, mother announced in a caring but loud voice, “bedtime my angels,” and the room cleared. 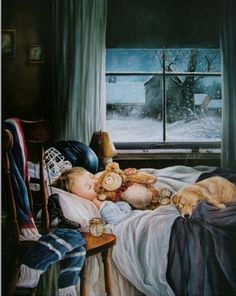 The children slipped off to dreams of what tomorrow would bring. Mother and father spent a few precious moments alone, hand in hand gazing at the sight of their tree and each other. They smiled and whispered sweet words to one another as they too headed off to bed, their minds filled with the joy they shared with their family over the past year. 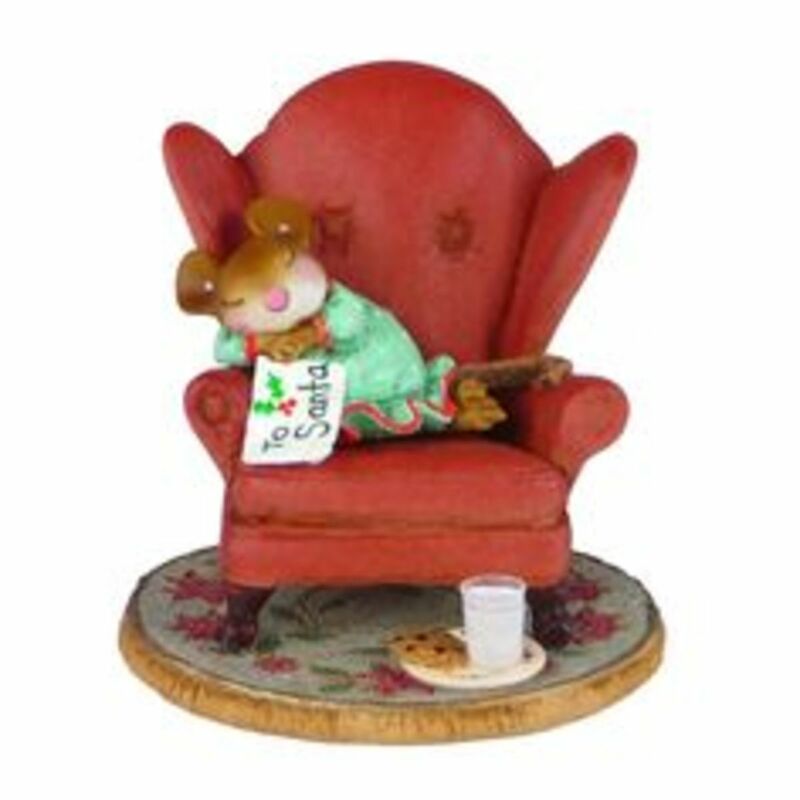 At last, when no sounds were heard aside from the gentle rhythm of the ticking clock, the mouse cautiously crept from his arched hole in the wall and headed straight for the cookie plate. He climbed atop the table and sampled every cookie within his reach; Then just because, he sampled them all again, and again, and again, until he could eat no more and his tiny belly was stretched to its very limits. He gazed around the room, wondering what tomorrow would bring. As he watched, his curiosity got the best of him and he scurried across the room, stopping only for a second in front of the fire to warm himself before quickly climbing the wooden frame of the mantelpiece. The room looked different from the high perch he now sat on. He tiptoed, yes mice can tiptoe, across the mantle, stopping at each stocking to peer down inside. He made it to the very last one before one missed step caused him to slip and fall. The mouse rolled in mid-air, reaching out for something to stop his fall when as luck had it, he landed right inside the stocking of the smallest of the children. He tried to climb out, but every time he moved, he only slid back down to the bottom of the silk lined sock. He lie on his back and let his mind wander. How to get out? What happened next is but a small part of the story, for the mouse suddenly found himself yawning and drowsy. The big meal and busy night had taken its toll on him as it had the children. In moments he was asleep, snoring every so lightly, yes mice can snore too! First the stockings of mother and father were filled as they hung at the far end of the mantle. Next he filled the children’s one at a time, working his way down to the very last stocking. He paused for but a moment as if he sensed the tiny sleeping mouse inside the stocking and again his laughter bubbled up and out. Saint Nicholas had seen many things in the years he visited houses and mice were not uncommon, but it was rare to find one sleeping in a child’s stocking on Christmas Eve. He unhooked the stocking carefully, not wanting to wake the sleeping mouse and turned it on its side before peering deep inside. The tiny white mouse was curled up with its little tail wrapped around its body and as Saint Nicholas put his hand inside he woke up. The mouse wasn’t afraid and stepped into the safe confines of the white glove and waited as the hand slowly pulled him out of the stocking. 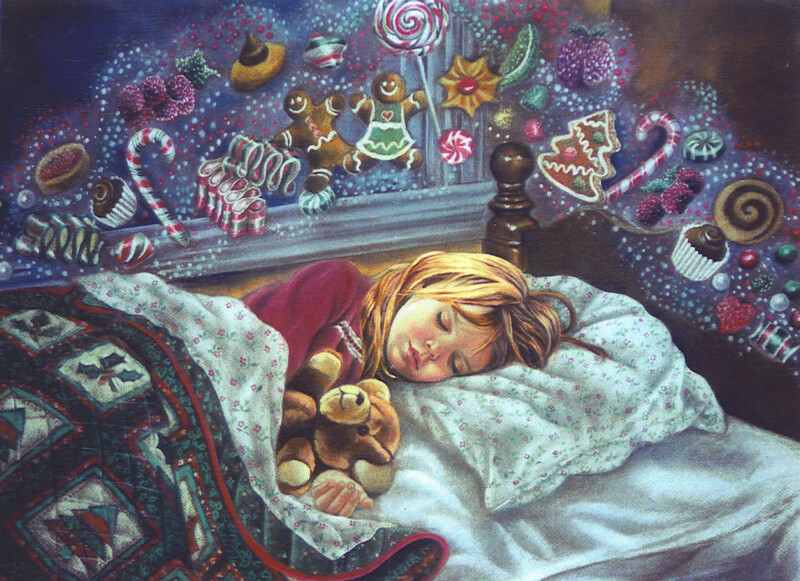 The children were nestled all snug in their beds with visions of sugarplums dancing in their heads. The mouse was snug in the stocking on the end of the mantle, dreaming about another cookie when up on the rooftop a jolly man in a red suit made his way from the sleigh to the chimney. With a blink of his eye, Saint Nicholas appeared in the great room in all of his splendor. His jacket trimmed in white had touches of soot on its edges from the nights work and his boots were caked with fresh snow. He held a large sack over one shoulder as he adjusted his spectacles with his free hand and walked ever so light over to the plate on the table. He took time to read each note from the children as they bid him a nice evening and thanks. He lifted the glass in his large hand and drank the milk down. As he reached for a cookie, the tiny bite marks on the edge caught his eye and a smile crept over his lips. He could not help himself as he started to chuckle, then without warning his laughter simply overcame him and he shook like a bowl full of jelly until he could laugh no more. He enjoyed the cookie that our mouse had sampled, slowly savoring the sweetness of the sugar frosting. He wiped his mouth and began to attend to the task at hand. His sack was large, but bottomless they say. He reached deep inside and began pulling out all sorts of presents wrapped in brightly colored paper and adorned with ribbons and bows of all shapes and sizes. He placed each carefully beneath the tree. 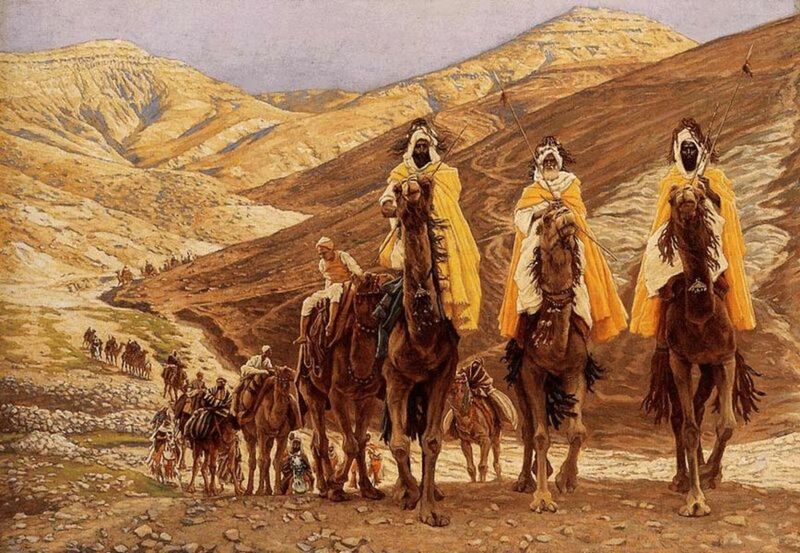 Mother, father, and all of the children had gifts. At last when he stepped back and was happy with his work, he went to the mantle to fill the stockings. The sight that the tiny mouse beheld once freed from the sock was breathtaking. 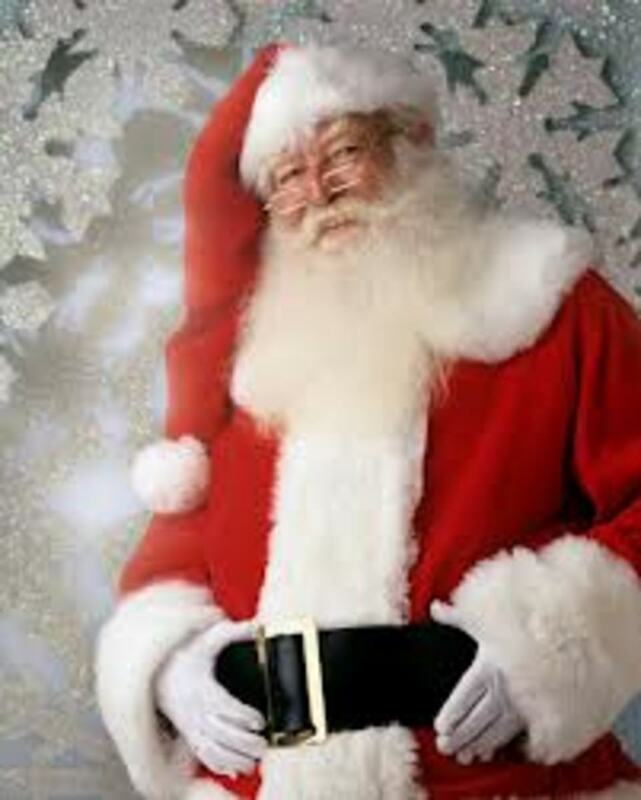 He was face to face with the man whom the children called Santa Claus. He was a giant of a man, yet gentle and had cheeks that were glowing red and a snow white beard that he must have been growing forever as it stretched down to the top of his belly. A set of silver spectacles sat perched on the tip of his nose and his eyes were the most beautiful blue the mouse had ever seen. 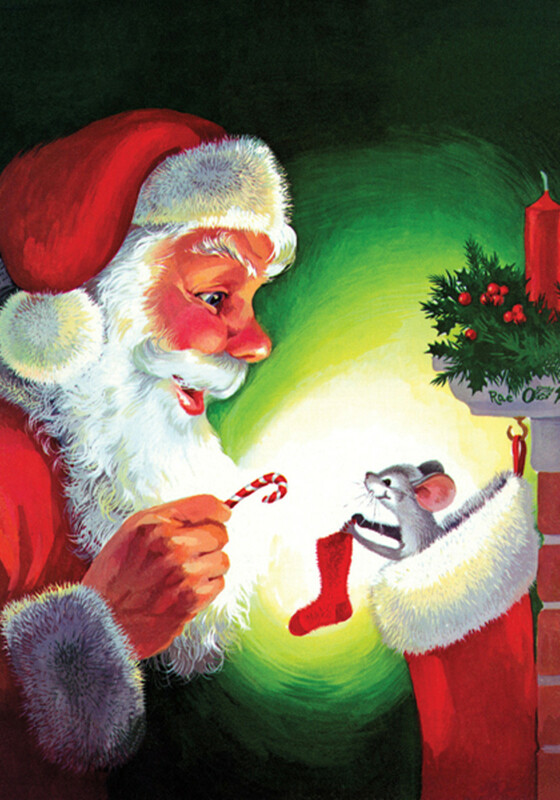 “Hello little one,” Santa whispered to the mouse. “It looks like you could use some help finding your way to your bed.” The mouse sat in Santa’s hand in awe as the jolly old soul walked across the room, somehow knowing where the mouse lived. He kneeled down right in front of the mouse’s hole and placed his hand on the floor so the mouse could step off. “Off to bed with you,” he spoke. The mouse took one last look at Santa. 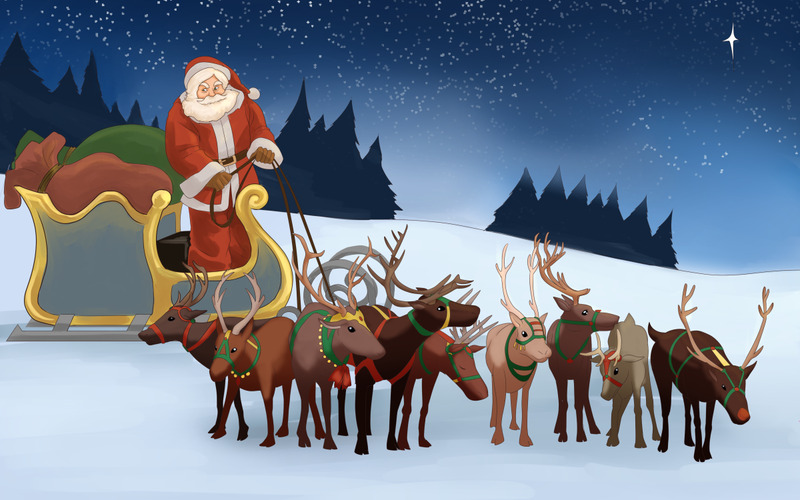 Santa winked at him and smiled as he scurried off into his hole to find his bed and go back to sleep. 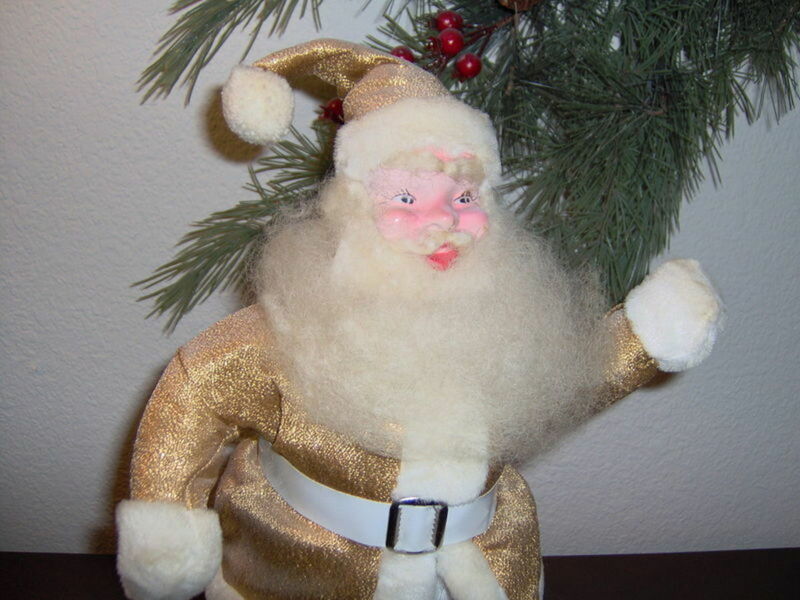 Santa filled the last stocking and then in tradition, laying a finger by his nose, with a nod up the chimney he rose. Morning came and the sounds of laughter filled the great room as each child marveled at the gifts they received. The tiny mouse awoke to this festive atmosphere and looked up from his tiny bed to see a soft golden sugar cookie staring back at him. The frosting was done in the face of Santa Claus. The tiny mouse finally knew what Christmas really meant. 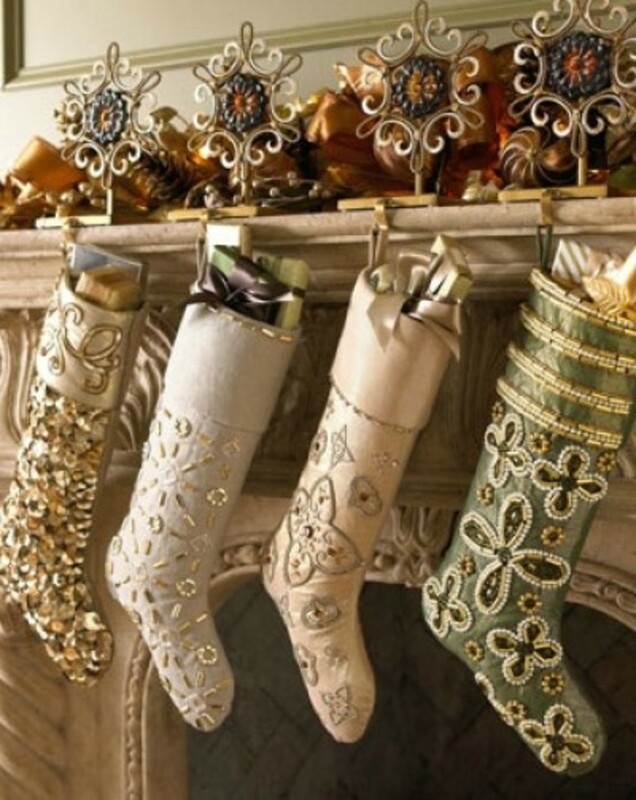 Before you go to bed this year on Christmas Eve, check you’re stocking. If you happen to find a little mouse tucked down in the bottom sleeping, don’t worry - Santa will know what to do. I miss the years I was a child and my mother went the extra mile to bring all the Christmas Morning Joy to my sister, brother and me! Anything nostalgic of that time hits me right in the heart! 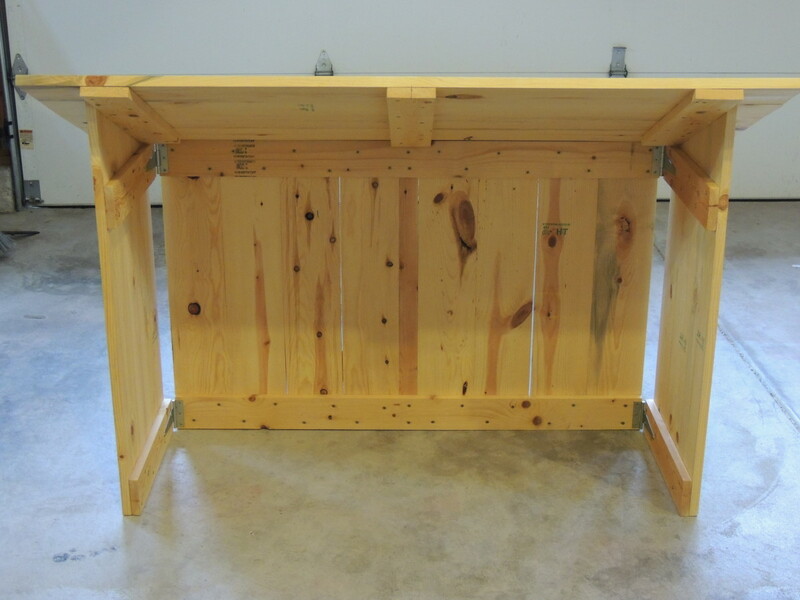 Your story is one of these. Nice write, RJ!